Design roadway intersections with efficiency. 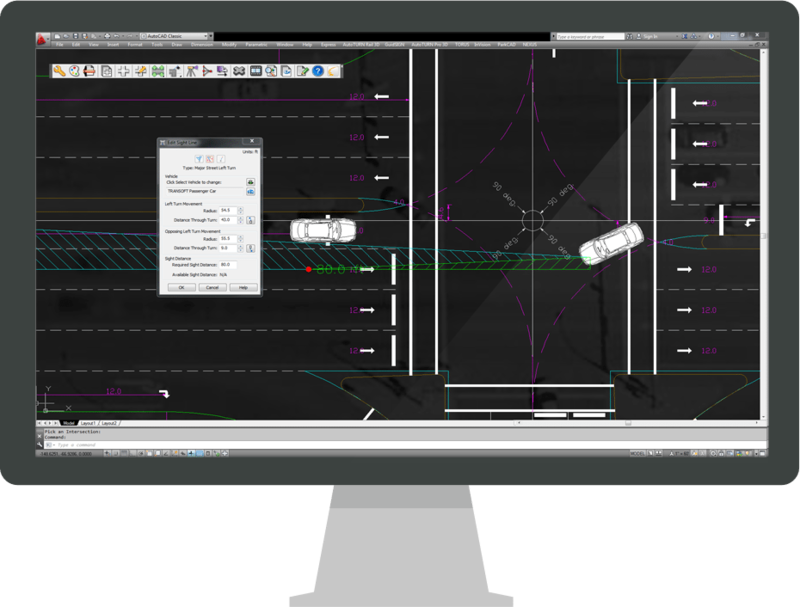 NEXUS takes the intersection design process a step further by incorporating vehicles, capacity conditions, sight distance analysis, conflict point evaluation, and 3D grading analysis into the drawing. In addition, the extensive editing functions make design refinements quick and easy. What used to take hours or days can be done in a fraction of the time with NEXUS. See how all the new features in the latest NEXUS release compare for designing roadway intersections much faster than conventional methods.